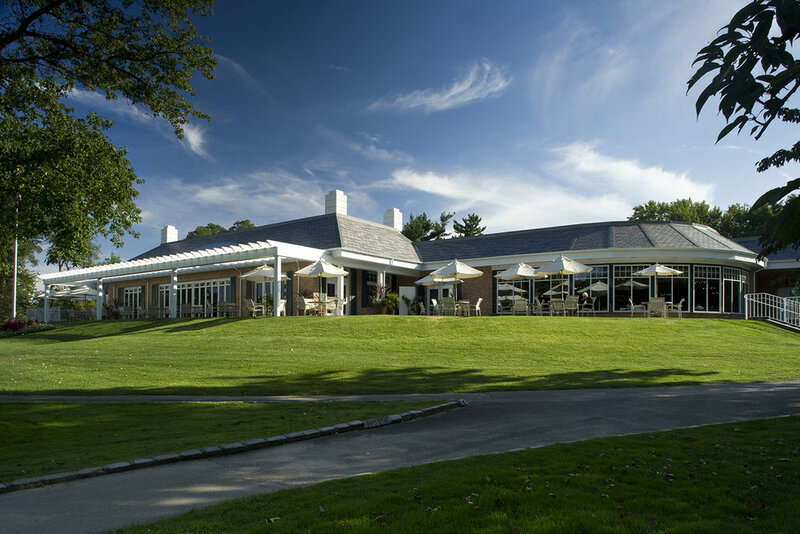 The renovation, redesign and addition project for the North Hills Country Club was initiated to revitalize the appearance and usability of the clubhouse, which serves as the physical and social centerpiece of the club. The 4,000-sf addition comprises an indoor-outdoor conference and catering facility. Built upon an existing patio that was previously shielded with a canvas covering, the addition encloses the patio area to increase year-round use, renders the back of the building more visually appealing from the golf course, and maintains the transitional relationship between the interior of the clubhouse and the attractive grounds that surround it. The column-free room serves as a cheerful, casual meeting place and pre-function room, located adjacent to the clubhouse’s main dining room. “Nanawall” sliding glass doors open onto a bluestone porch, blending the indoors and outdoors together. 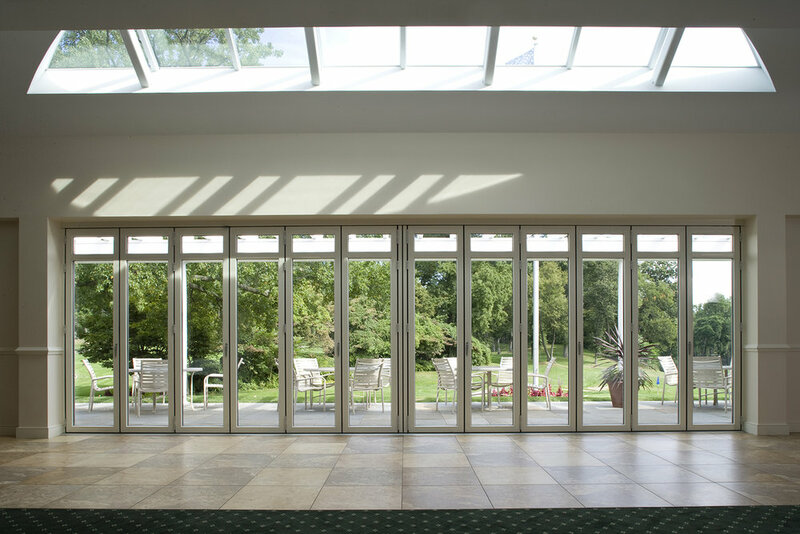 More traditional multi-pane Pella windows, in combination with an eyebrow, half-moon skylight, bring an abundance of natural light into the room while reinforcing the traditional character of the clubhouse’s design. Complete with a custom, architect-designed bar, a fat-screen TV, and flexible indoor and outdoor seating, the room is designed to feature views of the 18th Green of the Robert Trent Jones-designed golf course.